Study abroad for a semester or a year. Visit UNL Study Abroad office for help in applying for scholarships (~400 available per year; ranging from $500-3,000), filling out applications, picking a place to visit for your studies, learnign about travel logistics, health concerns, and cross-cultural adjustment. 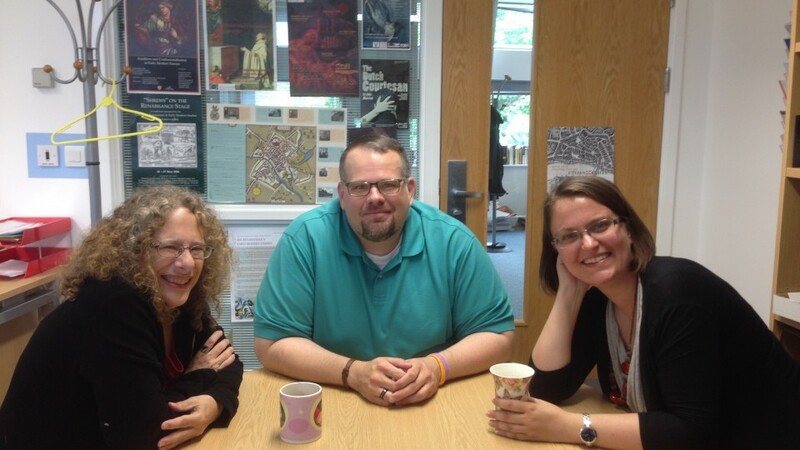 Dr. Carole Levin (Professor, Department of History, UNL), Dustin Neighbors (PhD Candidate, University of York), and Andrea Nichols (PhD Candidate, UNL) learn and discuss academia and research with each other: June 9, 2015. 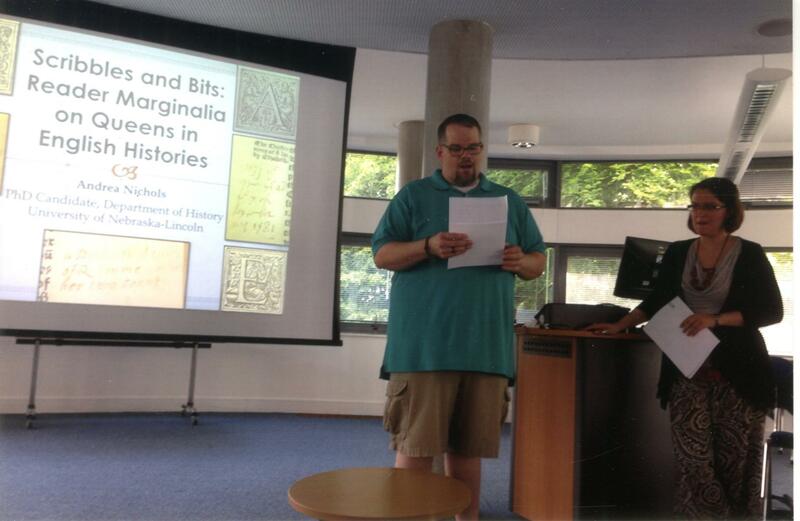 The first visiting scholar from UNL in the UNL MedRen/CREMS partnership, Andrea Nichols (PhD Candidate, UNL), presents her dissertation research at the University of York, June 9, 2015. Dustin Neighbors (PhD Candidate, University of York) is the second visiting scholar in the UNL MedRen/CREMS Partnership. 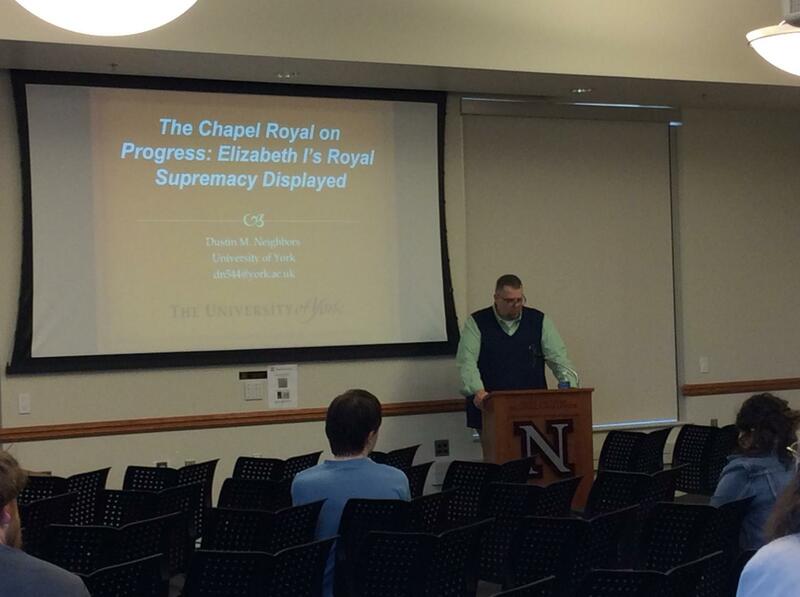 In this photo, he is presenting his dissertation research on April 13, 2016. Given UNL's partnership with the University of York Center for Renaissance and Early Modern Studies (CREMS), and for those who will study abroad and be surrounded with a different academic culture, it is good for our students to understand the language difference between the US and UK in degree programs. The following infographics describe the difference in undergraduate to graduate degree paths, degree terminology, and the yearly academic cycle. For those looking at postdocs and faculty positions in the UK, the best listservs to use are jobs.ac.uk or Times Higher Ed Jobs. 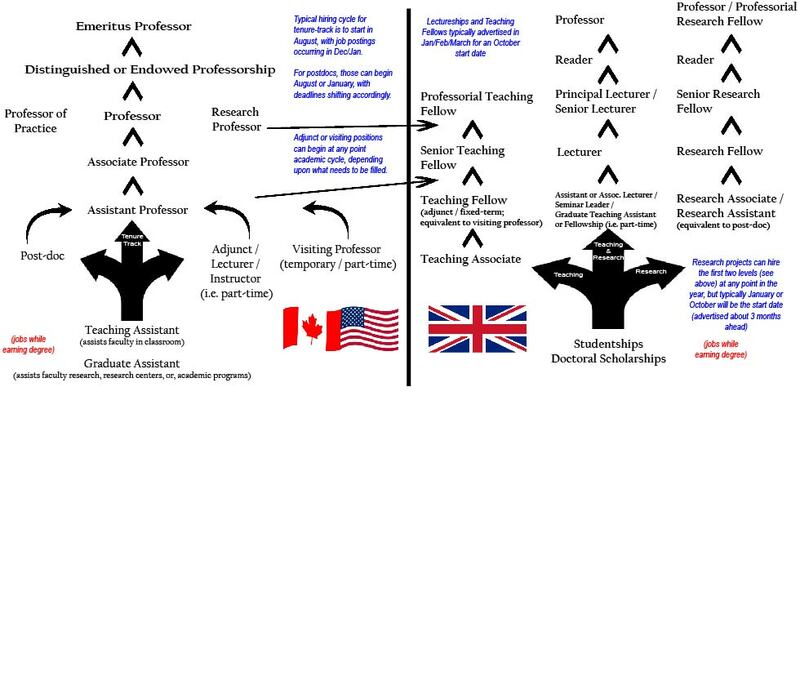 For those studying abroad, the following infographic will help with equivalency in terms from American to UK systems.